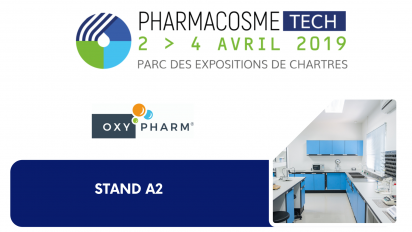 From 2nd to 4th of April 2019, Oxy’Pharm will present its disinfection solutions at PHARMACOSMETECH exhibition at Chartres (28), France. 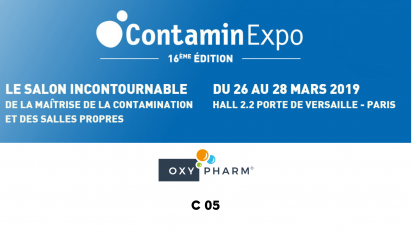 Oxy’Pharm will present its bio-disinfection solutions at the professional exhibition CONTAMINEXPO, the main event in terms of contamination control and clean rooms. 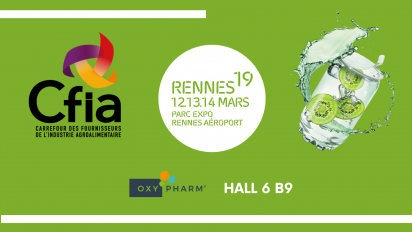 Oxy’Pharm will participate in CFIA exhibition (12-14 march 2019), the meeting point of french and international food-processing industrials. 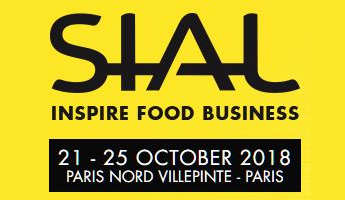 We will present our disinfection solutions fitted to your needs. 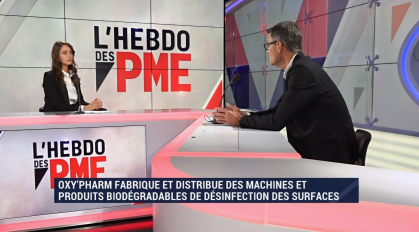 Saturday 8th of December, Thierry Rouleau, Oxy’Pharm’s CEO was the guest of ‚L’Hebdo des PME‘ on BFM Business, a French television business channel. He made a great presentation of the company and our disinfection concept Nocotech! We will be happy to meet you there. From 15th to 18th of May, we will participate to ISSA INTERCLEAN exhibition in Amsterdam – Booth 08.116.